The warmer weather is (supposedly) here but that doesn't mean it's any easier to get dinner on the table! Summer days are jam packed and full of fun! Having an effortless, homemade meal on the table during the summer months is just as much of a necessity as it is during the school year. 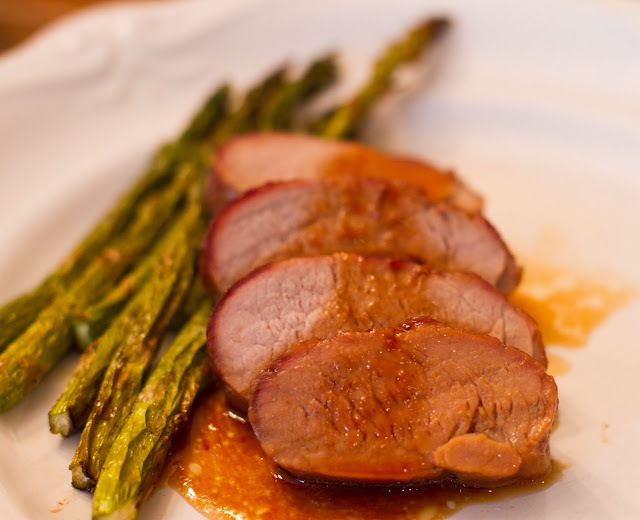 Here is a tasty pork tenderloin recipe I make with some local syrup we pick up at the farmers market! Enjoy! Prep Ahead Plan: Prepare the recipe the night before and let it marinate in the ziploc bag! 1. Place the tenderloin in a ziploc bag and pour in all of the ingredients. Seal the bag and use your hands to mash up the bag, mixing all of the ingredients together. 2. Marinate overnight or all day. 3. Preheat the oven to 350 degrees. Spray a 9 X 13 baking pan with cooking spray. 4. Place tenderloin in pan and pour marinade over it. Bake for 40-45 minutes or until the internal temperature reaches 160 degrees. Copyright © PrepAhead and Dine In: Maple Glazed Pork Tenderloin. All Rights Reserved.